You can tell that you are actually logged in by seeing your name at the top right menu of the screen. 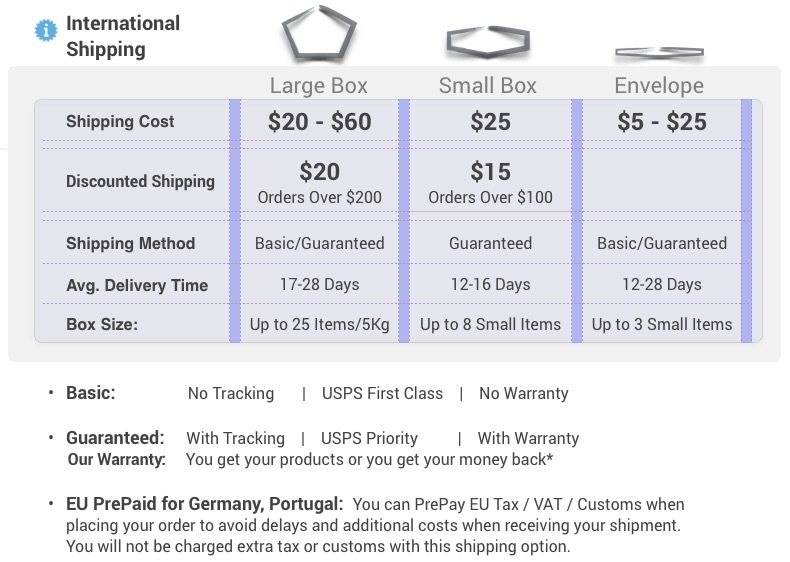 If you are not logged in, you can still see your cart, but the top right menu will say: " Log in / Create Account "
At the top right menu, click on your username and choose "My Points"
At the bottom left of the screen, under "Spend My Points" use the slider to determine how many points will be used on this order. On the new window log in to DrCousensGlobal.com and see if now you can log in. 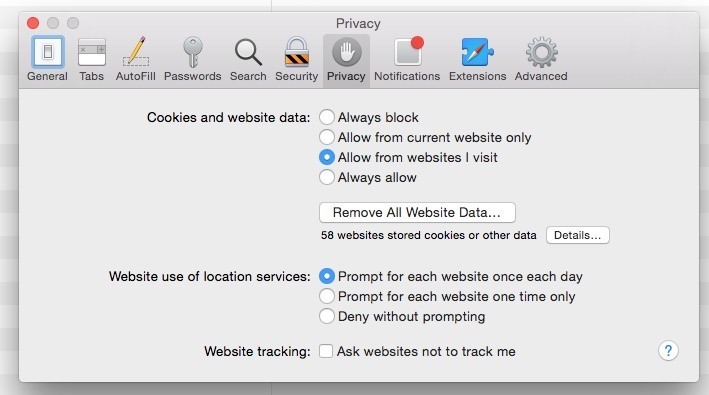 If Yes, it means your Safari is saving old data (cookies) that's preventing you from logging in. You can quickly fix that on Step 2 below. 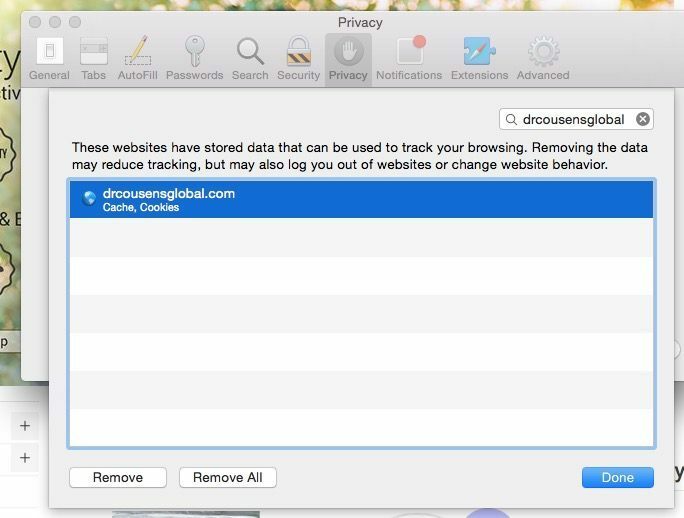 If you still can not login on 'Private window', please contact us. 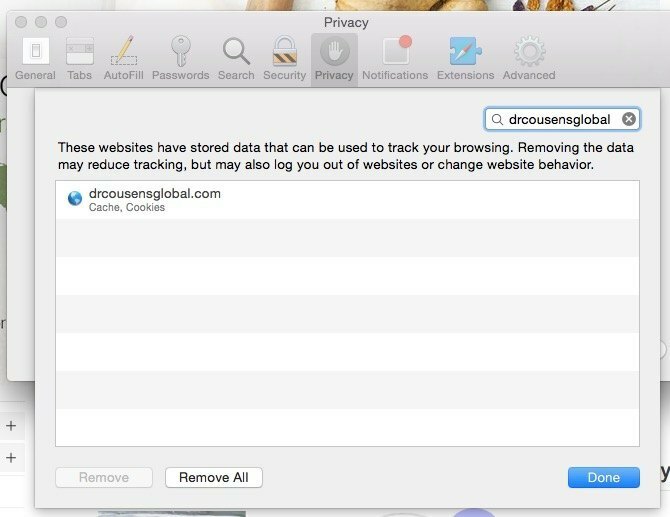 You can delete drcousensglobal.com cookies without loosing your Safari data and passwords for other websites. 3. 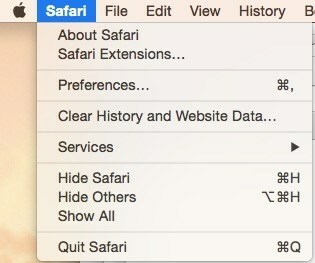 You will now see a list of all websites that are stored on your Safari browser. that's it. Now try logging in again.